As the team here at Upward Sports moves into the spring sports season, I’d like to bring attention to a very special event happening this month – National Volunteer Week. During this week, we will be celebrating the individuals who willingly give of their time, energy, and resources to help serve in the mission of promoting the discovery of Jesus through sports. This is deeply concerning because volunteers are integral to all aspects of the Upward Sports experience, including developing our youth to become stewards of Christ within the game and in life. Mark 9:37 reflects this sentiment as it says, “The harvest is plentiful, but the workers are few.” Since Upward Sports was founded 20 years ago, we have relied on volunteers—many of them serving behind-the-scenes—to train and serve millions of young athletes across the country. In addition to coaches and referees, volunteers serve as set-up and clean-up crews, scorekeepers, greeters, prayer partners, concession workers, and more. Without volunteers, the organization cannot exist. We estimate that every year over 1.25 million people volunteer for an Upward Sports program across the U.S. Every single one is an integral part of the success of the Upward Sports mission, ministry, and programs. Gregg from New York came to know the Lord through his child’s Upward awards night. He was going down a road that would have ruined his life, came to know Christ, and is now a volunteer in his Upward Sports league. Mike didn’t want anything to do with church, but his daughter wanted to play in the local Upward Basketball league. Watching devotions and the halftime talks, Mike saw the difference in the Upward volunteers. He then decided to help out as the assistant coach and came to know Christ. Mike is still coaching his daughter’s team today. One gentleman, Rick, told us “this Upward league saved my life.” He said he wasn’t much of a family man, and because he was asked to volunteer in his daughter’s Upward league, he was saved and is now the recreation minister at his church. Scott from Seattle was a volunteer for years as a referee in an Upward Basketball league. 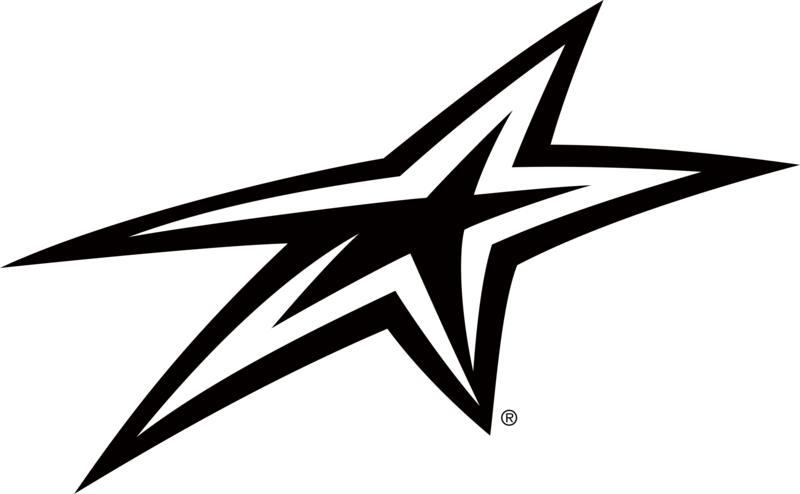 To pursue his passion in developing athletes to compete at a higher level and change the landscape of youth sports around his community, Scott is now working to form Upward Stars AAU teams around the Seattle area. Another time we were approached by a man who told us about coaching his grandson’s Upward league in Phoenix. His family moved to California, and the grandson started playing AAU Basketball. This gentleman knew that the “system” of AAU was broken, so he googled “AAU Christian Sports” and found Upward Stars. Now, he is coaching his grandson’s AAU team and trying to be a light in the world of travel teams and competitive athletics. When I hear stories like these, I can barely contain my joy as it is clearly evident that God is moving throughout these leagues, changing peoples’ hearts, and bringing participants closer to him through something as simple as a ball. As good as that sounds, none of it would ever happen if these folks didn’t take a leap of faith and volunteer. Our volunteers put others’ needs before their own, devoting countless hours to serving our athletes. Thanks to these individuals, the principle of selflessness is being instilled in Upward Sports athletes every season.  Upward Sports volunteers represent the types of people our young athletes should aspire to be. It is through these individuals’ efforts that our youth will be allowed the opportunity to develop into total athletes – mentally, athletically, spiritually, and socially as they grow into young men and women of strong faith and character. There are many ways to get involved with Upward Sports. During National Volunteer Week, as you are contemplating how you may engage with your community and utilize your talents, we invite you to be a part of Upward Sports. 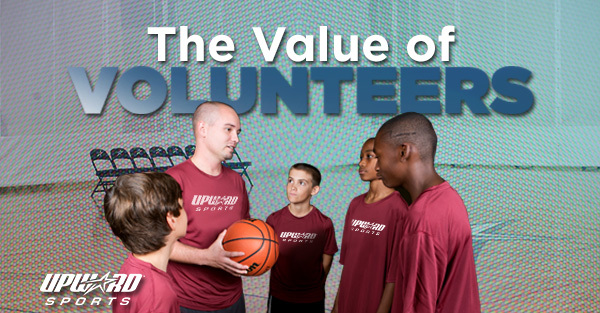 The team at Upward Sports is inspired and encouraged everyday by the efforts of our volunteers. If you are one of these invaluable individuals, please know you are making an incredibly positive impact within your community, and your efforts are helping develop young athletes into people of lasting faith and character on and off the court/field. We’d love to hear your story, so tell us about your experience volunteering with Upward Sports.